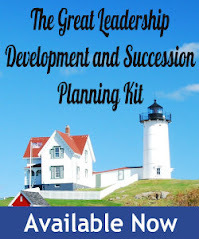 Hundreds of leadership books suggest various theories and exercises designed to awaken one’s inner leader and other mystical secrets to unlocking one’s rightful leadership potential. Others suggest that some people are meant to lead and others are destined to be followers, as though leading an organization is on par with the priesthood. If you’ve been following some of the more ‘mystical’ leadership leaders (for lack of a better word) you might start believing that leadership is as mysterious and complicated as locating the Holy Grail. That thinking is bunk. I’m living proof. In the early 1990s I was fresh out of college and employed at my first full-time professional IT job. I was working hard, putting in extra hours, reading all the tech journals and volunteering for extra assignments, trying to prove to my manager that I was going places! He didn’t see it that way. I’ll never forget the day he put his hand on my shoulder, gently smiled and told me to stop wasting my time. “You’re not leadership material Tom,” he told me, quickly adding that that was “Ok” because I was a great programmer. That was the day my inner leader kicked into high gear and I decided to start my own business. Twenty years later my company, Intertech, is a successful IT consulting and training firm. We have won dozens of awards for growth and for being a “winning workplace” and a “best place to work” in Minnesota. We are highly profitable, we have hundreds of satisfied clients, we help families with critically ill children through our Intertech Foundation and our people are tremendously loyal. And in the past ten years despite a tough economy, we’ve grown our revenues from $2 million annually to $10 million. Hey, maybe I did have some leadership potential after all! 1. Think and act positively. 2. Match their words and actions. 9. Show others they care. 10. Accept the importance of communication. Of course, mastering these skills takes effort and motivation. Learning from others who have successfully gone before – people like Jim Collins, Bill George and Patrick Lencioni – can save you time and frustration. I also hope my modest business treatise will help point you in the right direction. But, at the end of the day, never forget that you can be a leader if you’re willing to do what it takes to get the job done! Tom Salonek is the founder and CEO of Intertech, a leading IT consulting and training company based in Minnesota. He is the author of the recent book, Building a Winning Business and frequently writes about leadership topics in leading business publications, on Facebook and on his blog Tom Talks. Stellar post, Tom. While you have many important points and observations, your key message I believe is "Chart your path." Don't let others tell you of what you're capable. You're obviously living proof. Thanks. I absolutely agree! Leadership is demonstrated in what we do, how we do it and the influence we have on others. Not sure genetics have much to do with that. Congrats on proving them wrong! That's a very good list of leadership behaviors and just shows what a tough job it is to become a brilliant leader. It also highlights how those of us involved in leadership development have our work cut out. Brilliant write-up Tom. This is the kind of attitude that a leader needs to possess. Even when people tell them that they're not going to make it, they go ahead and do exactly that. It's not about proving your mettle to others, but to your own self. Thank you for sharing your story. Much appreciated. 2. Delegate one item to an employee. 3. Give an employee credit.